Founded in 1992, the European Association of Economic Development Agencies gathers people working on economic development through a large network of 65 members throughout 20 countries in the European Union and beyond. Regional development agencies are a designated meeting place between local actors. They gather highly skilled professionals and are able to answer the specific needs of firms willing to develop their activities. As major economic actors in their regions, RDAs’ missions consist of assembling, coordinating and promoting best practices and new initiatives. 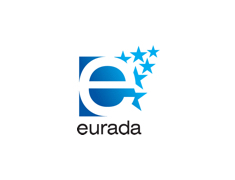 The EURADA network connects its members with all kinds of economic development practitioners such as RDAs, business partners and European authorities. Promote the emergence of cooperation projects between development agencies of several countries. Reflections on new management methods for regional development or development agencies.